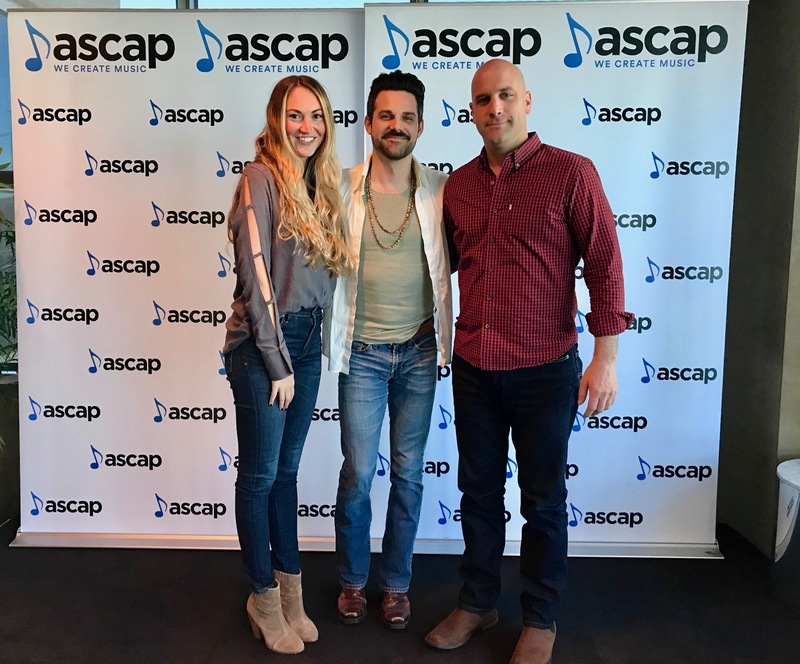 Singer/songwriter Cody Belew stopped by ASCAP’s Nashville offices Jan. 31 to officially sign with the performing rights organization. A native of Beebe, Arkansas who received his Bachelor of Arts in Music from Arkansas Tech University, Belew moved to Nashville in 2011. While constantly writing songs and figuring out how to navigate the music business, he opened Hyde Salon in 2012 and helped to build that into a thriving Nashville brand before opening Duet, a women’s contemporary store, in the fall of 2017. Belew has performed alongside Rascal Flatts, CeeLo Green, and even The Muppets. In 2013, he was the face of the national “Say Love” campaign for Heifer International, a global nonprofit working to eradicate poverty and hunger through sustainable, values-based holistic community development. He wrote and recorded the song “Say Love” and traveled to Ecuador to film the music video. He is currently writing for an upcoming project set for release in the summer of 2018.